Soy Yogurt -- Made in the Instant Pot! If you have the Instant Pot IP-DUO 7-in-1 with the yogurt feature, you can make your own soy yogurt with VERY little effort! PLEASE read everything below BEFORE you start--INCLUDING the notes! NOTE: You can make up to 4 pints in the Instant Pot at once! These instructions are showing you how to make one pint jar. Just follow the same instructions for EACH one you are making. Step 1. Take 2 cups of Trader Joe's UNSWEETENED Soy Milk* in the aseptic (shelf-stable) container (containing only organic soy beans and filtered water!!!) and pour it into a pint-sized glass jar. * You can use other brands of soy milk as long as they contained ONLY organic soy beans and filtered water. Step 2. Stir in 2 T. of UNSWEETENED, PLAIN soy or coconut yogurt (or previously made soy yogurt) or 2 vegan probiotic capsules (emptied into the milk). Step 3. Place the UNCOVERED jar in the Instant Pot inner bowl. Step 4. Cover the pressure cooker top, set to SEALING, and click the YOGURT button. Step 5. After 8 hours, cover the jar and chill it. Step 1. Take 1 whole container (4 cups) of Trader Joe's UNSWEETENED Soy Milk* in the aseptic container (containing only organic soy beans and filtered water!!!) and pour it directly into the Instant Pot pot. Step 2. Stir in 5 vegan probiotic capsules (empty the capsules into the milk) or 1/2 cup of previously made unsweetened, plain yogurt into the soy milk. Stir WELL! Step 3. Cover the pressure cooker top, set to SEALING, and click the YOGURT button. Step 4. After 8 hours, cover the jar and chill it. NOTE: If you like your yogurt less sour, only cook for 7.5 hours. You can test the flavor any time after 7 hours by just inserting a clean spoon into the jar of yogurt and tasting it. 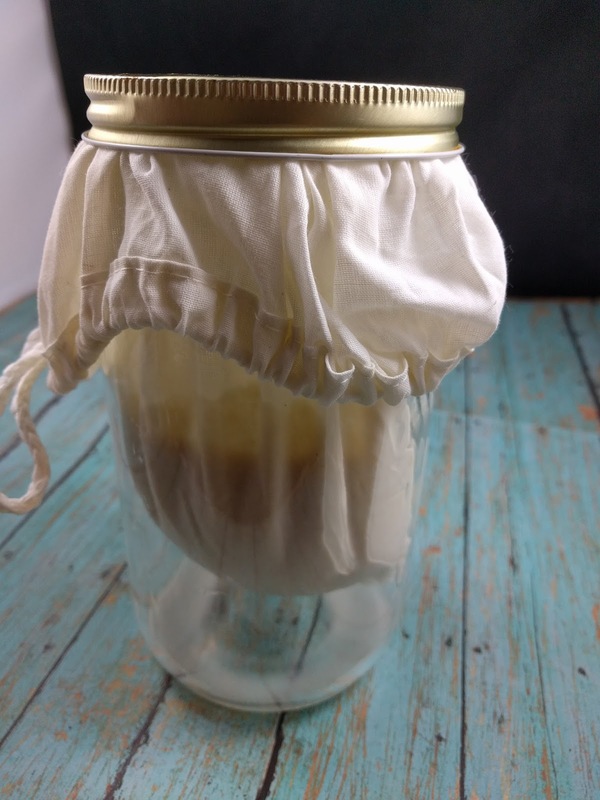 NOTE: If you want THICK yogurt, buy a jelly strainer bag or a nut milk bag and place it over a Mason jar. Tighten the string. Then, pour the yogurt in the bag over the jar and close the cap over it. Make sure the bag is high enough in the jar that it is not touching the bottom and there is room for the liquid to be released without touching the bag. Place jar in the refrigerator. Your yogurt (in the bag) will be thick in about 2-3 hours. Dispense of liquid in the bottom of the jar. 7. Add fruit and sweetener to your yogurt, if desired. We also use this yogurt as sour cream and for other condiments. NOTE: This yogurt lasts about 4 days in the fridge. Make sure to SAVE at least 2 T of this plain yogurt to use for your next batch! Let me know how it goes, and write me with any questions you may have! I read recently the whey can be used as starter. I havent tried it yet tho. Whey is an animal-based protein and not vegan. Most people don't realize that.